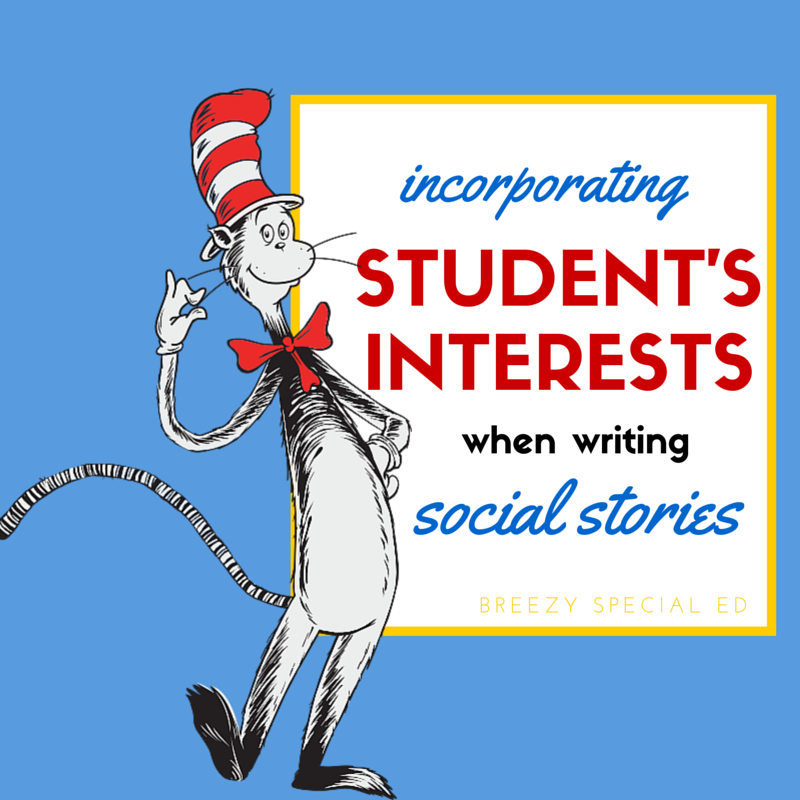 Social stories are a staple in special education and can be so helpful for a variety of situations! But I wasn't having any luck with social stories for one of my students...but I didn't give up! "If at first you don't succeed, try, try again." - One of my favorite quotes but I'm not sure who said it. And I would like to add "and try it a different way." So, I have a student who has always had some behavior issues, but all of a sudden it escalated to more extreme behaviors which was extremely unusual for this student. This is one of my highest academic students. He has a ton of language and loves to read! He especially enjoys reading Dr. Seuss books and I am always amazed at the different voices he has for each character. As for his behavior, he definitely knows what he is doing is wrong. Enter: Social Story. But, he does not like typical social stories and would tear them up and create new problem. I believe it's because he doesn't like to be told what to do, and that the social stories imply that he was doing something wrong before. So, the social stories I had been writing seemed to be doing the opposite of helping. But, last week, I wrote a social story and he loved it. All I did was put it on his desk and when he came in this morning I told him I put a new story on his desk to read. He read it independently. I didn't even talk to him about it. He kept it with him the entire day. He had none of his new extreme negative behaviors that first day and not even his whining / screaming behaviors.Not every day since has been perfect, in fact - he doesn't want to read his story right now - BUT he is still keeping it in his folder. Not being torn up and thrown away is a step in the right direction, right?! What was different about this story? Well, for starters, the social story wasn't about this student (at least he didn't think so). It was about the Cat in the Hat and the Grinch. 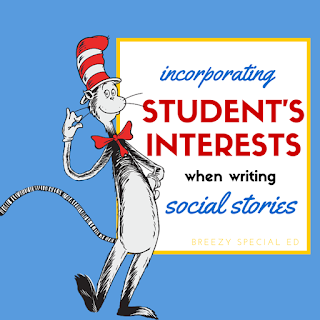 I honestly took a Dr. Seuss book while I was writing his social story and tried to use some of the Dr. Seuss language as well as incorporating some of the language we use at school. You can view/download "Sometimes the Cat in the Hat gets Angry" on Google Docs. Thanks for sharing the story! Very creative idea. 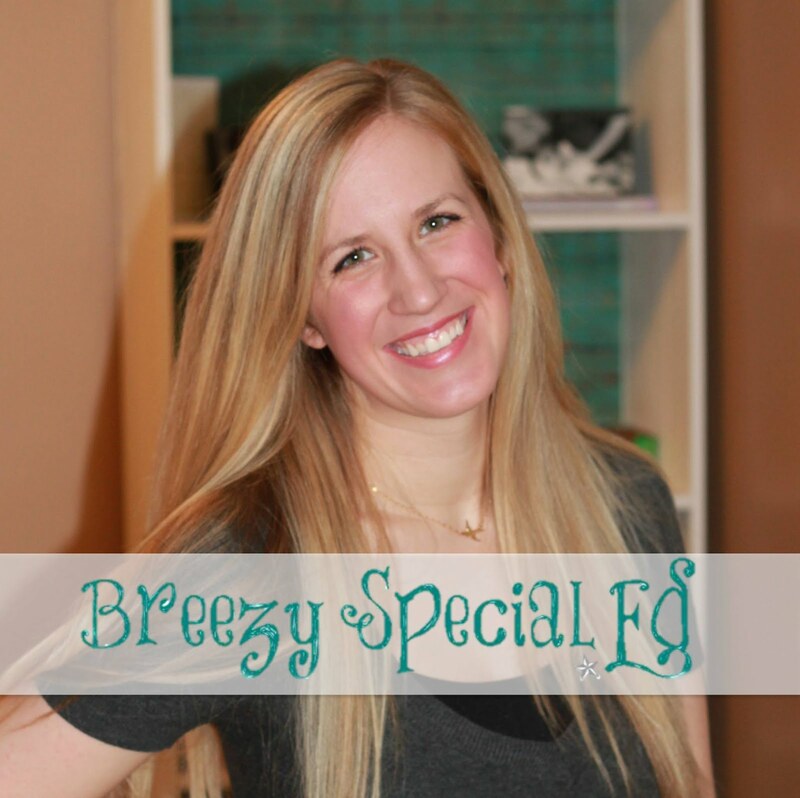 I'm another special education teacher as well (elementary resource) and just found your blog. I'm also your newest follower. What a great idea, Brie! I love that you wrote the story in the style of your student's favorites, too! I remember the first time I did that for a student who lovessss the 7 Dwarfs, it was amazing! Such a great idea! Way to go! This story is fabulous! I modified it to fit the behaviors I have encountered with my group, and plan to read it with them tomorrow. Thank you so much for sharing! Thank you for sharing this social story! I have a feeling my students are going to love it. I will definitely be reading it to them this Friday.